William Dampier wanted one thing--to make his fortune--but his quest for knowledge often collided with that goal. While he eventually succeeded in his endeavor, it wasn’t in the manner he expected. But fame and fortune were fleeting. He died in obscurity and became a relatively forgotten man, except for those who achieved their fame because of what he learned and wrote about during his unprecedented three voyages around the world. Born in 1651 in East Coker, England, Dampier was the second son of a tenant farmer. He received a good education for the time period, and his studies in arithmetic and Latin proved helpful in later life. He had an older brother named George, and two younger siblings. When William was seven, his father died. His mother succumbed to plague seven years later. Wanderlust characterized much of Dampier’s life. With the assistance of his guardian, William became a shipmaster’s apprentice. At twenty-one he enlisted in the Royal Navy, but illness eventually curtailed that career. After he recovered, he went to Jamaica to help run an estate. The manager wrote that Dampier was “given to rambling and could not settle himself to stay long in any place.”(Preston, page 31) Within six months after quitting his job, William found himself aboard a boat bound for the Bay of Campeachy to acquire logwood to take to London. Many logwood cutters were former buccaneers who found they could amass significant wealth supplying textile manufacturers with logwood. From the heart of this wood, the makers of ink and furniture extracted a rich, dark dye highly prized in Europe. Throughout his journal entries, Dampier always referred to these comrades as privateers, but in reality they were pirates. Although he spent twelve months in their company, he only provided details of one raid. Sixty pirates in two boats attacked the fort guarding the town of Alvarado near Vera Cruz. The assault lasted for some time, and about a dozen buccaneers died before they captured the fort. On entering the town, they found the citizens had fled with their valuables. Dampier didn’t consider the venture a total loss because he discovered several tame yellow and red parrots. The pirates’ bad luck followed their departure from town, for as they exited the river, they encountered seven Spanish ships. The buccaneers managed to elude capture though. Dampier eventually returned to England after an absence of four and a half years. In 1678 he married Judith, who held a position within the Duchess of Grafton’s household. All we know of her comes from Dampier, and he wrote little of his wife. They apparently had no children. Soon after the wedding, Dampier returned to Jamaica, this time to trade. When he arrived at Negril Bay, however, he encountered a host of buccaneers with about twelve ships. Their captains included Bartholomew Sharp and John Coxon. Dampier joined Sharp’s crew and in January 1680, the fleet set sail for the Isle of Pines off the coast of Panama. With the aid of local natives, the pirates decided to attack Portobello. Two hundred fifty men set off toward the city in canoes, while the rest remained behind to rendezvous with the raiders and to load their plunder aboard the ships. On the way to Portobello, the pirates encountered eighty Frenchmen, who joined them. They easily took the town. Two days later they returned to their ships; Dampier received 100 pieces of eight as his share of the take. About this time Captain Edmund Cook and his crew joined the pirate fleet. Among these new recruits was Lionel Wafer, a surgeon who became Dampier’s friend. Like William, Lionel would later publish an account of his adventures. Not long afterward two more groups arrived under the leadership of Richard Sawkins and Peter Harris. In April 1680, the 330 pirates divided into seven companies and walked through the rainforest, across the mountains to Santa Maria where they expected to obtain a hefty ransom from its inhabitants. Basil Ringrose, who also chronicled their journey, often in more detail than Dampier, accompanied them. When the buccaneers rushed the fort, the Spaniards surrendered. In all the pirates captured 260 prisoners, but not the governor, priest, or gentlemen who would have brought hefty ransoms. They had fled before the fort surrendered. The pirates then headed for Panama Bay, where they encountered five ships and three barques. 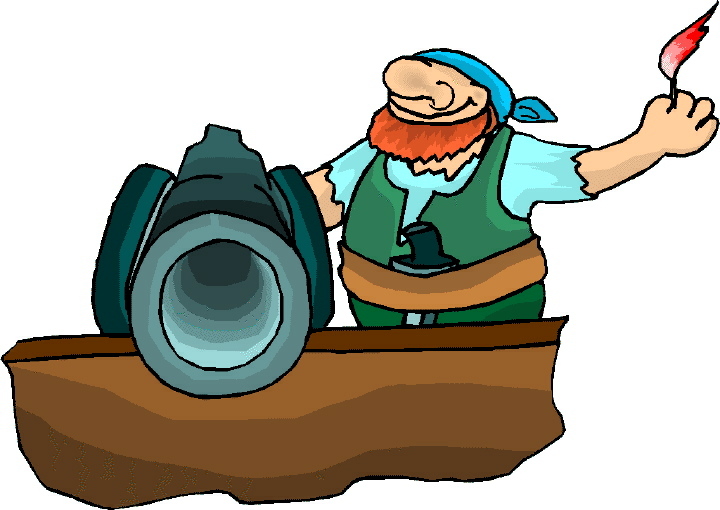 The pirates decided it was better to fight than be taken, and so attacked the smaller vessels. The fierce battle lasted for three hours. The pirates managed to jam the rudder of one barque, then fired several volleys of muskets, killing two-thirds of the crew, before they took possession. Captain Sawkins captured the second barque when he exploded barrels of powder. The third vessel escaped. Still craving more plunder, the pirates turned their attention on the anchored ships. They boarded the four-hundred-ton La Santissima Trinidad, and after that crew surrendered, they burned two other ships and took command of the remainder. Only eighteen pirates died and twenty-two were wounded. Among the casualties was Captain Peter Harris, who was shot in both legs as he attempted to board. He died two days later. Once the pirates regrouped, they argued over their next move and their next leaders. John Coxon opted to recross the isthmus, taking seventy of his men with them. Dampier remained with the main group under the leadership of Sawkins. In the ensuing days they captured fifty thousand pieces of eight, over a thousand jars of wine and brandy, and replenished their powder and shot. They also raided the coastal town of Pueblo Nuevo for fresh meat; Captain Sawkins was slain. Bartholomew Sharp became the next leader, although sixty-three pirates left the fleet. Among those that remained were Dampier, Wafer, and Ringrose. Off the Isla de Plata, they took a ship loaded with 3,276 pieces of eight. They threw the Spanish priest overboard after shooting him. Dampier omitted this detail from his journal, but Ringrose condemned “such cruelties,” but kept his silence. Arguments again broke out. Sharp often gambled with his men, winning their profits from the voyage. Some of the crew wished to return to the Caribbean. They convened a council, deposed Sharp as captain, and put him in the brig. They elected John Watling captain, who decided to attack another fort. This proved an unsuccessful venture, and the pirates retreated in disorganized fashion, allowing the Spanish to crush some with boulders and fire upon those still standing. Only half the pirates returned to their ships, but Watling wasn’t with them. He died; the Spanish paraded his impaled head around the town. Also left behind were three surgeons, leaving Wafer the only one to tend the pirates. Since most men wouldn’t accept Sharp as captain, the pirates split up again. Ringrose went with Sharp aboard the Trinity. Dampier and Wafer followed John Cook, a “very intelligent person,” “a sensible man.” On 17 April 1681, they sailed north in canoes with forty-one others to trudge back over the isthmus. Unfortunately, they began their six-hundred-mile trek at the start of the rainy season, when violent and relentless rain made the tangled jungle almost impossible to cross on foot. According to Dampier, they decided that if anyone faltered, he would be shot to prevent him from divulging their location should he fall into the hands of the Spaniards. While they rested at an Indian plantation, disaster struck. Lionel Wafer sat “on the ground near one of our men, who was drying off gun powder in a silver plate, but not managing it as he should, it blew up, and scorched my knee to that degree, that the bone was left bare, the flesh being torn away, and my thigh burnt for a great way above it.” (Preston, 85) Even though in great pain, Wafer refused to remain behind. Dampier wrote, “…he was not able to march; wherefore we allowed him a Slave to carry his things, being all the more concern’d at the Accident because liable our selves every Moment to Misfortune, and none to look after us but” Wafer, a surgeon. The trek took a heavy toll on the pirates. Fear of capture. Not trusting their guides. Flash floods. Rolling thunder claps. Swollen rivers. Leeches. Oozing mud. Stinging rain. When they reached a Kuna village, they left Wafer and two others behind. On 24 May they finally reached the Caribbean coast, where they met up with Coxon and resumed raiding Spanish vessels and settlements. By July of the following year, Dampier was in Virginia. He kept no record of his activities there, although he mentioned “troubles,” which may mean he spent at least part of time in jail. When John Cook and Lionel Wafer arrived in April 1683 aboard the Revenge, Dampier was eager to seek new adventures. “They went for Virginia with their prizes; where they arrived the April after my coming thither. The best of their prizes carried eight guns; this they fitted up there with sails, and everything necessary for so long a voyage; selling the wines they had taken for such provisions as they wanted. Myself, and those of our fellow-travellers over the Isthmus of America, who came with me to Virginia the year before this…resolved to join ourselves to these new adventurers…So having furnished ourselves with necessary materials, and agreed upon some particular rules, especially of temperance and sobriety, by reason of the length of our intended voyage, we all went aboard our ship." This time the pirates would cruise the South Sea along the coast of Chile and Peru. On 23 August they set sail for the Cape Verde Islands. Off the coast of Africa they seized a forty-gun ship from the Danes and renamed her Bachelor’s Delight. Mid-November found them sailing across the Atlantic for the Strait of Magellan. The weather was stifling, and the only relief came from tornadoes. They lacked fresh food; the men fell ill. They finally sighted the Falkland Islands in late January 1684. One of their land bases was the Galapagos Islands, located about six hundred miles west of Ecuador. Fresh water and meat was abundant, as were “salading vegetables.” Dampier investigated the flora and fauna and recorded what he saw, which eventually provided readers with the first detailed English account of the islands. When he journeyed to the island about 150 years later, Charles Darwin used Dampier’s books. Three weeks later they arrived in the Philippines, going ashore at Mindanao, which Spain didn’t control. The pirates spent many months living with the natives, but in January 1687 rumbles of dissension surfaced. “The whole Crew were at this time under a general Disaffection, and full of very different Projects; and all for want of Action…Teat… persuading the Men to turn out Captain Swan from being Commander, in hopes to have commanded the Ship himself. As for the Sea-men they were easily persuaded to any thing; for they were quite tired with this long and tedious Voyage, and most of them despaired of ever getting home, and therefore did not care what they did, or whither they went. It was only want of being busied in some Action that made them so uneasie; therefore they consented to what Teat proposed, and immediately all that were aboard bound themselves by Oath to turn Captain Swan out, and to conceal this Design from those that were ashore, until the Ship was under Sail; which would have been presently, if the Surgeon or his Mate had been aboard; but they were both ashore, and they thought it no Prudence to go to Sea without a Surgeon….” On 14 January the mutineers set sail aboard the Cygnet, forcing Dampier and the surgeon, Henry Coppinger, to accompany them, leaving the captain and thirty-six others behind. They aimlessly cruised the Philippines, the Mekong River, and the Gulf of Thailand in search of treasure. In May Coppinger tried to escape, but the pirates recaptured him. They resumed their voyage, sailing the South China Sea, returning to Mindanao in October, then proceeding to Timor, Sulawese, and Buton Island. Early January 1688 found them at Australia, where they stayed until mid-March. When they arrived at the Nicobar Islands in early May, Dampier convinced the pirate captain to let him go ashore. His liberty was short-lived because Herman Coppinger and two other crewmembers also wanted to leave. When Dampier returned, arguments ensued. The upshot was that he and two others were allowed to leave, but the pirates refused to sail without their surgeon. After Dampier left the pirates, he wrote, “[I made] very sad reflections on my former life and looked back with horror and detestation on actions which before I disliked, but now I trembled at the remembrance of.” On 20 May, Dampier arrived at Sumatra, suffering from dysentery. In July he traveled to Tonkin, where he spent several months touring the northern part of Vietnam. He learned about the region’s people, customs, plants, and wildlife. In May 1689 Dampier joined a merchant crew. After the captain became ill, Dampier took command until they reached Malacca. The following year he journeyed to Madras, where he took a job as the gunner at Fort York. When he tired of that job, he attempted to leave, but the governor refused. On 25 January 1691, Dampier finally squeezed through “one of the port holes of the fort” to escape aboard the Defence. He spent most of the voyage in ill health. On 2 July, the Defence sailed from St. Helena and ten weeks later, and more than twelve years since he had left England, Dampier returned home. He only remained ashore about two years. In 1693 he joined a group of adventurers bound for the West Indies to trade with colonists and recover treasure from sunken Spanish ships. One of his mates was a man named Henry Every. In May 1694, Every and 84 others seized one of the ships, renamed her Fancy, and sailed off to become pirates. The original expedition never reached the Caribbean, and Dampier returned to England in February 1695. He tried to collect back pay through legal means, but in January 1696, the court ruled he had insufficient evidence and dismissed the case. The next year Dampier published his first book, A New Voyage Round the World. It was an immediate bestseller, and within nine months had gone into three printings. Dutch, German, and French editions soon appeared. 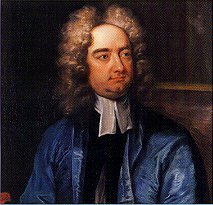 The Royal Society considered it a “factual, talented, and richly detailed account of people, places, things, plants, fishes, reptiles, birds and mammals.”(Shipman, page 4) This and his subsequent books influenced other writers, including Jonathan Swift and Daniel Defoe. In 1698 the Royal Navy made Dampier a captain and gave him command of the Roebuck, a fire ship converted to a fifth rate warship of 290 tons and twelve guns. This scientific expedition was to explore Australia, then called New Holland. His second-in-command was Lieutenant Fisher, someone Dampier believed intended to murder him. Dampier had Fisher caned and locked in his cabin until they reached Brazil, where Dampier left him ashore under the watchful eye of the governor. 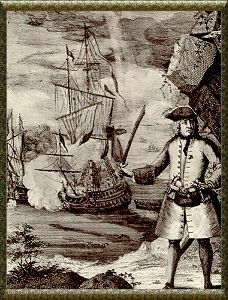 Dampier’s third book, A Voyage to New Holland, was published in two parts, the first in 1703 and the second six years later. It detailed his government-sponsored journey to Australia, more than a century before Captain James Cook’s famous voyage. What made his books so extraordinary was that Dampier was the first to visit five of the seven continents, and the first to travel to places unknown to most Europeans. He also compared and contrasted flora and fauna throughout the world. He was one of the first Englishmen to visit the Galapagos Islands. He introduced new words and concepts into the English language. Although he was a pirate for part of his life, he never glorified what they did. In fact, he often omitted a lot of details about that aspect of his journey. He wished to be respectable, an innocent traveler whose curiosity forced him to join in their adventures. He preferred to consider himself a privateer, which he didn’t actually become until the War of the Spanish Succession broke out in May 1702. Four months later he led an expedition to Peru aboard the Saint George and Cinque-Ports. For some reason Dampier decided not to maintain a journal, but others did. They considered him a poor captain, a drunken coward. Sometimes he captured prizes, but let them go. Other times the vessels taken had little of value to warrant the risk. A raid on Santa Maria failed, and they learned the Spanish knew of their presence. The two ships parted company after that. Misfortune continued to plague the expedition. In September John Clipperton and twenty others mutinied and stole the Dragon, a captured fifty-ton barque. In December Dampier sighted the Rosario, a Manila treasure ship armed with guns of eighteen and twenty-four pounds. The Saint George only had five pounders. Even so, he attacked. A shot from the Spanish ship removed two feet of the Saint George’s rotten stern planking near the waterline and she had to cease fighting without taking the prize. The following month thirty-five more men took a captured brigantine as their ship. That left Dampier with twenty-seven men. They managed to take the town of Puna, then captured a Spanish ship which allowed them to abandon the Saint George. When they arrived in the East Indies, the Dutch arrested them. Eventually, Dampier and his men found passage home, returning there at the end of 1707. When he made his third voyage around the world, he was fifty-six years old and the pilot for Woodes Rogers. If the Duke and Duchess captured any Spanish treasure, Dampier would receive eight shares. They stopped at Juan Fernandez Island and found a marooned Scotsman named Alexander Selkirk. Dampier recognized him as a sailor from the ill-fated Cinque Ports. Selkirk had asked to be left on the island because of disagreements with the captain and fears that the ship wasn’t seaworthy. He never dreamed he would be on the island for four and a half years. Two months later they arrived in Guam. On 29 December 1710, they arrived at the Cape of Good Hope. Little is known of Dampier’s life once he returned to England from this final voyage on 14 October 1711. At the end of 1714, he was “diseased and weak in body.” Sometime before 23 March 1715, he died. How and when remains a mystery, as does his burial place. If you’d like to read more about William Dampier, I recommend these books: Dampier, Wiliam. A New Voyage Round the World. Dover, 1968. Dampier, William. Voyages and Discoveries. Argonaut Press, 1931. Gill, Anton. The Devil’s Mariner: a Life of William Dampier, Pirate and Explorer, 1651-1715. Michael Joseph, 1947. 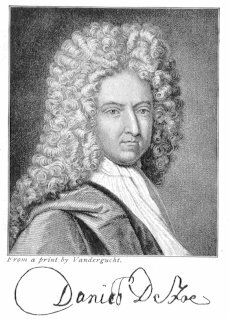 The Life and Adventures of William Dampier with a History of the Buccaneers of America. Blackie and Son. Preston, Diane and Michael. A Pirate of Exquisite Mind: Explorer, Naturalist, and Buccaneer. Walker & Co., 2004. Rogers, Woodes. A Cruising Voyage Round the World. Narrative Press, 2004. Shipman, Joseph C. William Dampier: Seaman and Scientist. University of Kansas Libraries, 1962. Wafer, Lionel. New Voyage and Description of the Isthmus of America, 1699. Wilkinson, Clennell. Dampier, Explorer and Buccaneer. Harper & Brothers, MCMXXIX.